In a major throwback to mark 41 years of Khoon Pasina, actor Amitabh Bachchan posted an image from his 1977 film - which he shared last year too. This year he shared a new detail: "Fighting a live tiger for my film Khoon Pasina, during shoot got news that Abhishek to be born... crew said if boy name him Tiger." 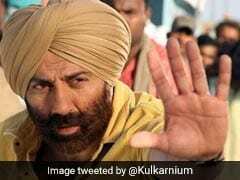 The 74-year-old actor had earlier tweeted, how the present day action directors thought he was "mad" for fighting off a real tiger, "Fighting a real tiger for Khoon Pasina, a real task. Shared it with stunt directors of today, they thought I was mad." In this black and white image, Amitabh Bachchan can be seen wrestling a tiger on the ground. 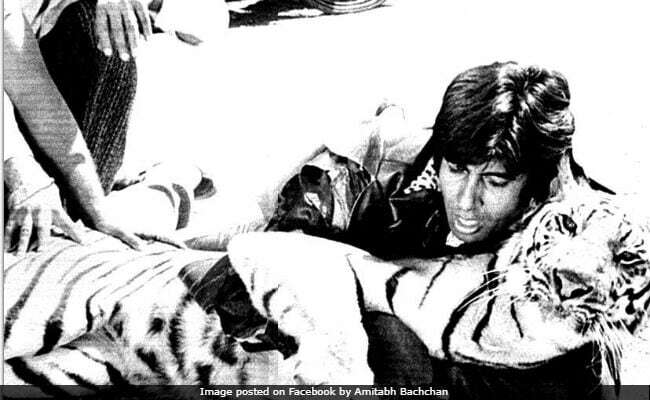 In a series of pictures posted on Facebook, Amitabh Bachchan revealed some more personal moments during the film's shoot. The 1977 film, directed by Rakesh Kumar, also featured Vinod Khanna and Rekha in pivotal roles. Khoon Pasina was shot across Pahalgam, Kashmir and then at Chandivali Studio, Mumbai, where his fight scene with a real tiger was shot. It was a blockbuster hit with super hit tracks, like Khoon Pasine Ki Jo Milegi To Khayenge sung by Kishore Kumar. Amitabh Bachchan is a hands-on social media user and quite actively shares pictures of himself and his family for his fans worldwide. He is presently busy with an upcoming project Thugs of Hindostan with Aamir Khan and Katrina Kaif.